The University of Maine at Presque Isle has hired an experienced facilities and construction leader, planner and manager to serve as its new Director of Facilities Management. Gregg Bouchard, who comes to UMPI with 16 years of facilities management experience, replaces outgoing Director of Facilities Management Robert Aughinbaugh, who relocated to Pittsburgh earlier this fall to take a position closer to family. While Bouchard is new to the UMPI campus, he is very familiar with the County and the University of Maine System. He was born and raised in Caribou, Maine, and is a 1985 graduate of Caribou High School. He has been in the Facilities Department at the University of Maine in Orono since 1997, most recently as a Project Manager. 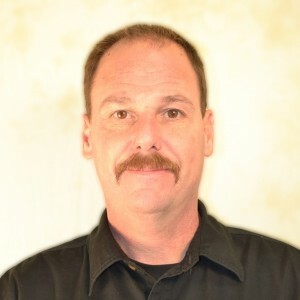 He comes with years of experience in carpentry, managing capital construction projects, working with non-traditional energy sources, landscaping techniques, and building management. His construction projects have included everything from historic lab and classroom renovations and a performing arts center to athletic facilities and a new planetarium and observatory. Prior to his work in Orono, Bouchard worked for several County businesses, including Championship Sports Flooring in Limestone, Cyr Construction in Caribou, Wolf Construction in Limestone, and Majais Corporation in Caribou. He earned his LEED Green Associate certification from the Green Building Certification Institute in 2010 and his Construction Documents Technologist certification from the Construction Specifications Institute in 2009. Bouchard began his duties on Nov. 25.